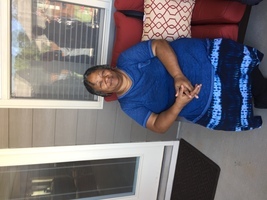 Provide comfort for the family of Ms. Anita Williams with a meaningful gesture of sympathy. 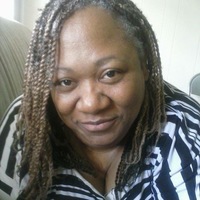 Anita Williams, 57, entered into rest on Thursday, January 3, 2019. She was born in Clarksdale, MS, raised in St. Louis, MO, and had final residence in Huntsville, AL. Her parents are Elmer Williams, Sr. and the late Kattie Mae Williams. 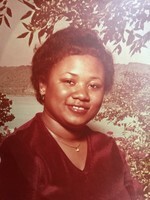 Anita was a 1979 graduate of McCluer High School in St. Louis, and was a graduate of J.F. Drake State Community and Technical College in Huntsville, AL, where she studied Mechanical Engineering. She was last employed as a Technical Illustrator at an aviation defense company, and was a former Machine Operator at Phoenix Huntsville. Anita was generous and kind in nature. She greatly enjoyed spending time with her children and grandchildren. She always was full of laughter and joy. She also enjoyed reading, family game times, cooking and sewing. 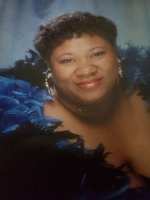 She will be lovingly remembered and greatly missed by: her four children, Marcelle LeShawn (Patrick) Vance-Wright of Tampa, FL, LaShawnda Williams, Marcus Harris, and Mariah Harris all of Huntsville, AL; three grandchildren, Ayden, Jade and Sophia; two brothers and three sisters, Elmer Williams Jr. of Baltimore, MD, Vivian Williams of Simpsonville, SC, Nomia Faye (Jack) Tidwell of Simpsonville, SC, Carol (Melvin) Johnson of St. Louis, MO and Tommy Jeff Williams of Huntsville, AL; and many uncles, aunts, cousins, nieces and nephews. To send flowers in memory of Ms. Anita Williams, please visit our Heartfelt Sympathies Store. We encourage you to share your most beloved memories of Ms. Anita here, so that the family and other loved ones can always see it. You can upload cherished photographs, or share your favorite stories, and can even comment on those shared by others. RHCC sent flowers to the family of Ms. Anita Williams. RHCC purchased flowers for the family of Ms. Anita Williams. She always made the funniest faces when I tried to take pictures with her. I love you, Mom.